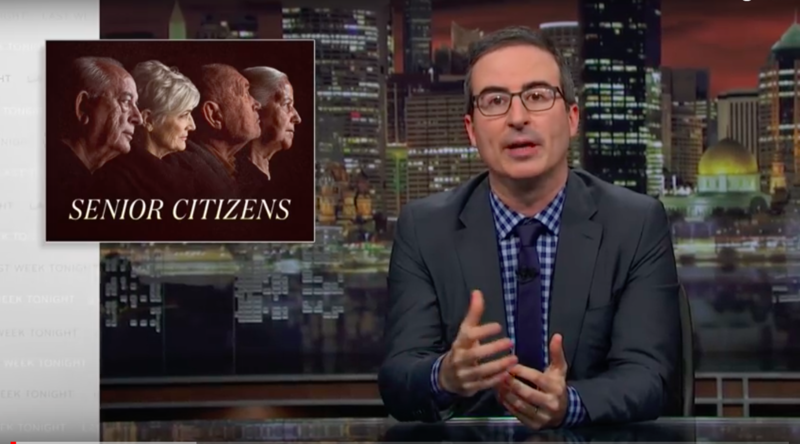 John Oliver recently highlighted problems with the guardianship system on his HBO show, Last Week Tonight with John Oliver. The comedian provided a scary and funny explanation of how guardianship works, ending with a public service announcement by William Shatner, Lily Tomlin and others explaining steps you can take to avoid the guardianship. The show focuses on the abuses of a professional guardian in Las Vegas, April Parks, previously reported on by ElderLawAnswers. She is clearly at the far end of guardianship exploitation and is currently facing prosecution on more than 200 charges. But Oliver does a good job of explaining how guardianship takes away rights without providing oversight of the people appointed to handle personal and financial decisions for people who can no longer make decisions for themselves. He explains how courts do not have the resources necessary to provide proper oversight, reporting that only 12 states certify professional guardians. In addition, according to an investigation by the Government Accountability Office, states don't even do credit or criminal background checks on candidates for guardianship. Nevertheless, the reality is that guardianship and conservatorship actually work in most cases. Family members seek the legal authority they need to make personal, financial and legal decisions for loved ones who have lost the capacity to do so for themselves. In many cases, these non-professional guardians don't follow through with the court reporting required by law, not because they have anything to hide but because they don't know that they have the obligation or don't know how to provide the reporting. More robust follow up by the probate court could seek to enforce the reporting rules, but also could result in much more red tape without much more protection for the people under guardianship or conservatorship. In any event, the best approach is to avoid the need for guardianship and conservatorship by putting durable powers of attorney and health care proxies in place ahead of time when you can choose who you would like to make decisions for you when necessary. Even if you're not at risk of exploitation because your children or grandchildren would step in, the need for court intervention causes otherwise unnecessary expense and delay. This is what estate planners counsel their clients all the time. But William Shatner, Lily Tomlin, Rita Moreno, Fred Willard, and Cloris Leachman do it so much better. With some side discussions about hippos, they recommend executing a durable power of attorney and health care proxy naming someone you trust to make decisions for you if you can't for yourself. They all agree that the person they most trust for this role is Tom Hanks. For more information about guardianships, click here. I consent to LAW OFFICES OF REBECCA L. SHANDRICK, LLC collecting my details through this form.